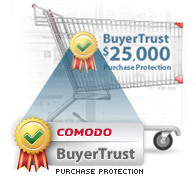 Ultimate trust-building solution is now available to Comodo Partners Two months ago, we introduced a revolutionary product that will enhance the way your customers can build trust with their website visitors during the buying process. Today, we introduce to you that it's now available for you to resell. You can benefit from the competitive margins on this new product. Security solutions available through Comodo Partner Secure Comodo Partner Secure Partners have access to an array of security solutions available for resale including Internet Security Pro 4.0 with advanced protection, a Virus-Free Guarantee, and anytime remote support. The line of products available through Comodo Partner Secure also includes Comodo Internet Security Complete, Online Backup, Advanced Endpoint Protection, Hotspot data encryption, and more! To learn more about Comodo's security solutions available to Partners, or to join Partner Secure, contact Channel Sales at 201-716-4484 or click here. 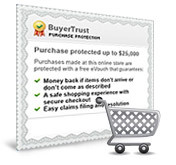 legitimate e-commerce merchants and assures consumers that their purchases will be protected. James Langman, Comodo VP of Business Development, talks to WHIR Magazine to answer a few questions about this new solution, BuyerTrust. Comodo Partners are in a great place to offer solutions to not only mitigate the risk of online theft of consumer confidential data (by offer encryption solutions to merchants), but now you can offer those same merchants the ability to capture trust and reassure visitors that they're safe doing business online.